Dubai’s Festival of Lights 2014 turned Dubai into fairytale land of fabulous light and sound. 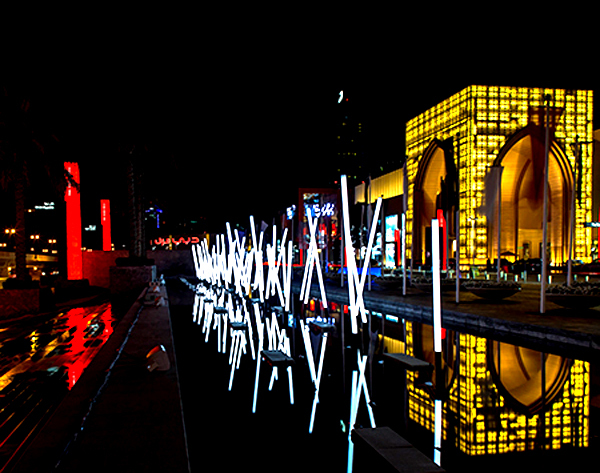 The first ever Dubai’s festival of lights started from 20th March till 29th March 2014 at Dubai Downtown. Emaar Properties installed 30 spectacular artistic LED lightnings on different locations at Downtown Dubai in collaboration with City of Lyon. This is the first time Festival of Lights was celebrated in Dubai and O man what an amazing and awesome experience that was for the visitors. From amazing themed lightening to video mapping, interactive pieces and LED lighted sculptures.